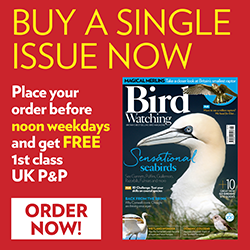 For many years Bird Watching has been testing and reviewing all the new birdwatching gear – optics, clothing, tripods, accessories and books – to come on to the market. This archive contains reviews from past issues of the magazine, and all of the equipment featured is still available. Keep coming back, as we’ll be adding new reviews regularly. How to care for your optics – read our guide! Roof-prisms, porro-prisms, 8x32s, 10x42s and more – our experts test all the best birdwatching binoculars so you don’t have to. Tested in a wide variety of conditions we put every pair of bins through same rigorous process enabling us to make sound, accurate judgements on their optical power, build quality and value for money. Read our birdwatching binoculars reviews here. Plus, the anatomy of binoculars - download your PDF guide here. From the latest fieldguides to birding autobiographies - we've reviewed them all. Find a selection of the best birdwatching books right here. Plus exclusive savings on many books through our Bird Watching Bookshop partners, Wildsounds. In-depth, expert reviews of birdwatching scopes from all the leading brands across a wide range of price brackets. Tested in all conditions, we put every spotting scope through the same rigorous process enabling us to make sound, accurate judgements on their optical power, build quality and value for money. Read our birdwatching scope reviews right here. Tripods, fleeces, apps, bags, boots, cameras, straps, jackets, trousers, gilets, gloves, recorders, hats, software, optics accessories and more - all designed with the birdwatcher in mind and reviewed right here.